Configurable test set offers advanced functional test support for medium volume electronics manufacturing services (EMS). Functional test is an important part of any electronics manufacturing plan, but it can also prove to be a complex and expensive effort, posing unexpected obstacles to product success. Allied Component Works faces this challenge regularly and has developed a reusable functional test infrastructure that can be cost effectively tailored to a customer product and reliably operated in a manufacturing environment. The Component Test Set is designed to support the functional test of small discrete-function circuit boards and subsystems (component products), which are often manufactured in significant quantities. The test set can be tailored to handle specific physical characteristics, power and I/O testing, embedded code loading, calibration, and other aspects of product configuration and verification. The test set itself can be delivered to the customer or it can be installed directly in line at Custom Electronics Company as part of the full turnkey manufacturing of tested product. 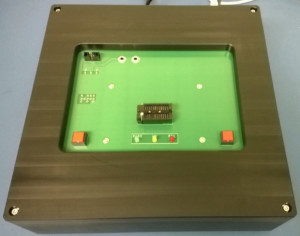 A functional test resource embedded with the electronics assembly process can free customer technical personnel from the test effort and can create a tighter closed loop for real time correction of any materials or assembly issues. Moreover, additional infrastructure options are now being introduced to help further reduce the cost of test development for smaller and simpler products. Please contact us to discuss your manufacturing and test challenges.